Published on April 26, 2010 in Blogging. 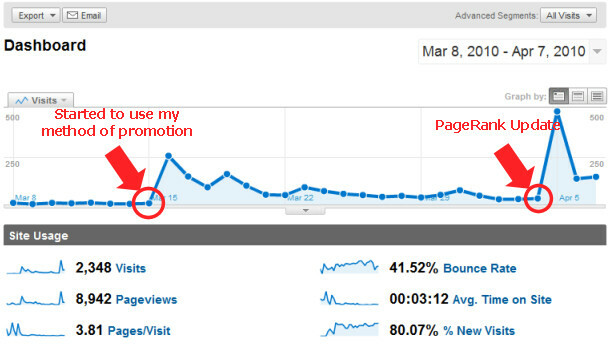 Since publishing my report "PageRank 4 in two weeks?" 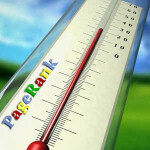 some of my blog readers have asked me and even argued about importance of PageRank in SEO. There is no simple answer for question asked in this blog post. Not because noone really knows it. It is rather because some people misunderstand what the PageRank really is. 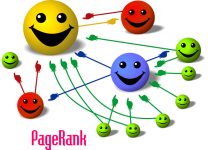 PageRank by itself do not guarantee you a lot of search engine traffic. 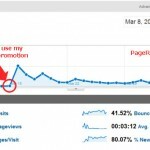 PageRank is one of indicators that shows you that your link building technique is good. But you need something more than links pointing to your website to make search engine a good traffic source. Published on April 12, 2010 in Blogging. It is a pleasure for me to announce a launch of my first eBook with my report titled "How to improve your website up to Google PageRank 4 in two Weeks!". I have written it based on my own experience and can guarantee you that my method really works. Especially for my blog readers I would like to offer you a $10 discount! Tags: ebook, google, pagerank, seo.